Less Mess! Lower Cost! All The Luxury. Breathing New Life in to your kitchen.....without breaking the bank! Transforming your kitchen with replacement doors is a piece of cake with Quality Kitchen Doors Nottingham. 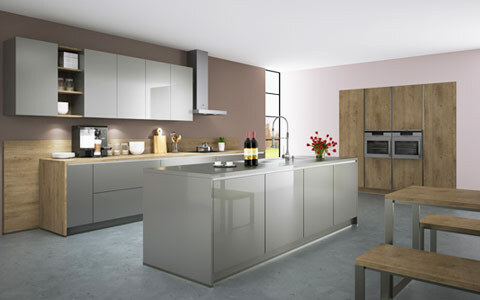 We realise that spending £10,000 or more on a beautiful new kitchen is not an option for everyone. 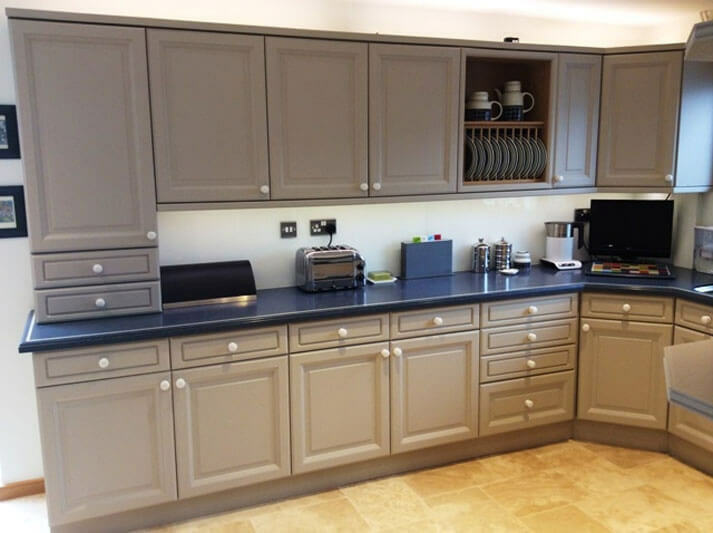 But what if you knew that by just replacing your tired old kitchen cabinet doors, worktops and drawer fronts, with our top quality made to measure replacement doors, Would that get you interested? 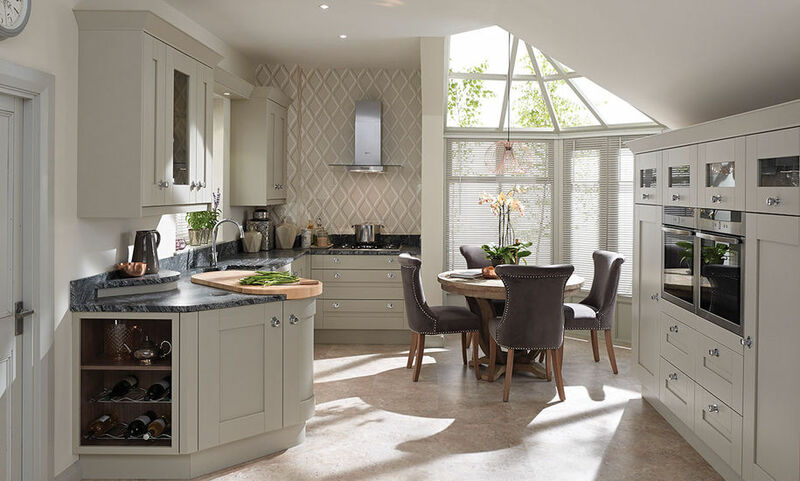 And if we told you that the work would be completed in just 1 - 2 days, giving you a new dream kitchen at a fraction of the cost, how would that sound? "keep the cabinets, change the doors"
By specialising in refurbishing rather than replacing, we are able to bring your kitchen alive by keeping your perfectly good cabinets, and only replacing the kitchen cupboard doors, drawers and worktops, so we are able to provide our customers with the kind of kitchen they are dreaming of without the hefty price tag. Because we use your existing worktop supports, electrical outlets and cabinet carcases, your new kitchen makeover is so much quicker and more convenient to complete, with usually a 48 hour turn around time, compared to a possible 2 weeks when installing a completely new kitchen. "all sizes and colours available"
All doors are available in just about any size or colour, as they are all made to order. 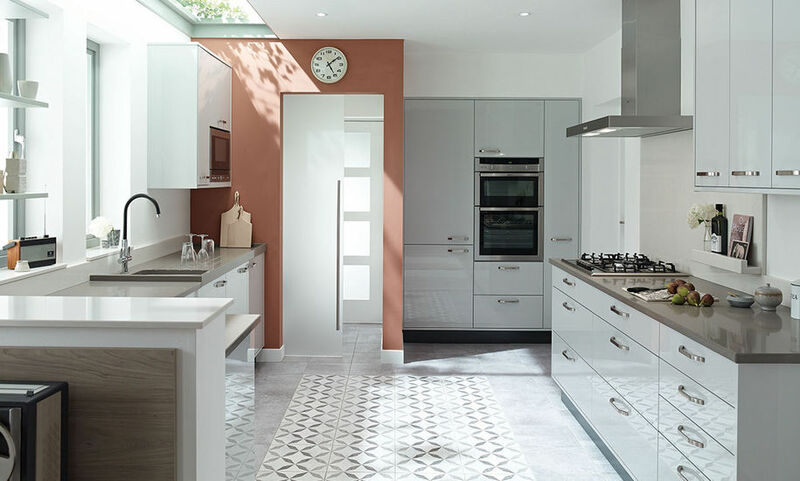 You can also decide how much of the kitchen you would like to change, we can also offer a complete design and installation service too for designer kitchens if required, taking care of any tiling, plastering, electrical and plumbing work. 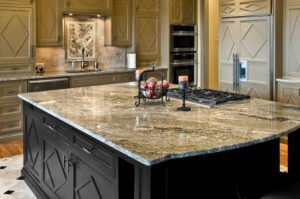 Why not consider a worktop upgrade too, maybe silestone or granite would be a good alternative to consider. 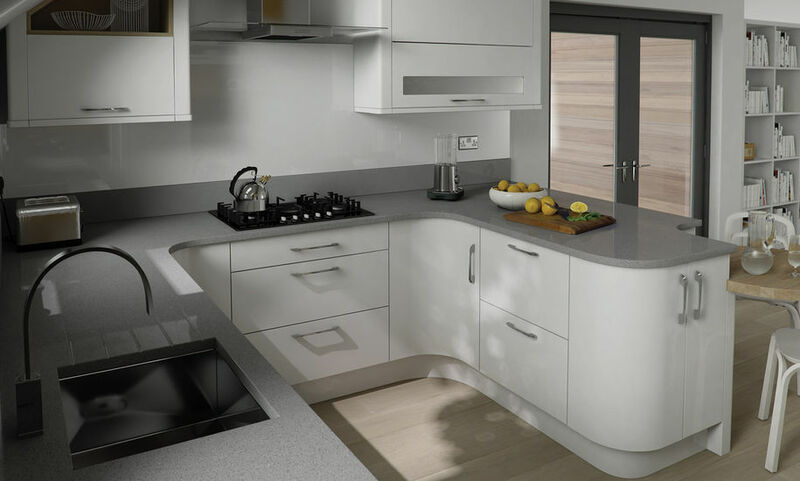 Your kitchen makeover will usually include replacement cabinet doors and matching drawer fronts with handles, new worktops, a new sink and taps, storage options as required, such as carousel storage in cupboards, together with slide out shelving and racking to maximise the available space, and also new appliances where needed. "advice and information is always free"
We are happy to visit your home and give you our no obligation advice and quote on how we can add value to your property while transforming your home. It seems crazy to throw away everything in your kitchen to start again when all you need is a facelift. Your cabinets have years of life left in them, and by changing just doors, you can create a brand new look for your home.. Remember too that replacement kitchen doors doesn't necessarily mean cheap kitchen doors. We offer a quality product that you will enjoy for years to come. Our fast and efficient service, combined with a bespoke product, means that you can enjoy a hassle free experience, and achieve any style that you choose..
Less Mess! Less Cost! All The Luxury. Breathing New Life in to your kitchen.....without breaking the bank! 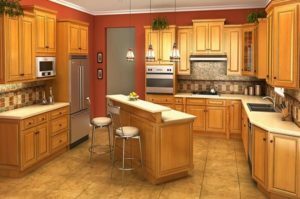 How long will it take to upgrade my kitchen? 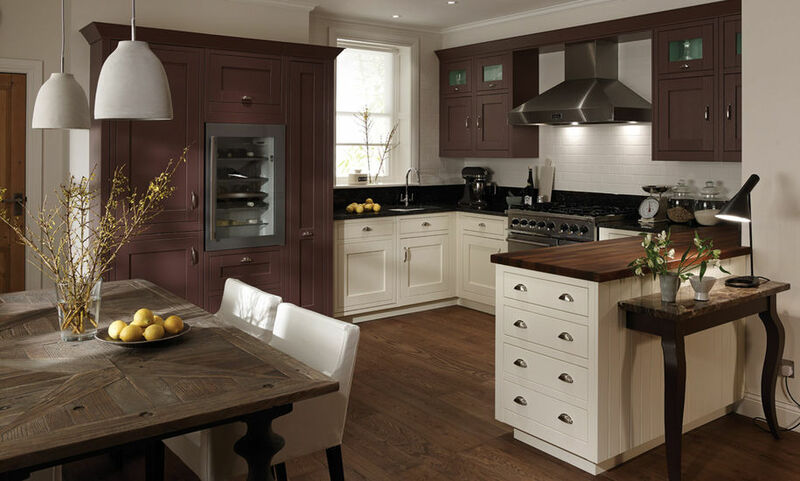 Because we’ll be using your existing infrastructure such as electrical supports, worktop supports, and cabinet carcases, that makes the kitchen makeover process fast. In most cases, we complete the work within 48 hours. However, if you would love a complete design and installation service, that might take anywhere between 2- 8 weeks. What kitchen products do you supply? Our range of kitchen products include kitchen cabinet doors, worktops, drawer fronts, handles, sinks and taps, storage options and every other accessories and component that is part of the kitchen makeover. All our doors are available in different sizes and colours as they are all tailored to the customer’s specific requirements. What kitchen services do you offer? Does your company handle everything, including lighting, flooring, painting, plumbing, and décor? 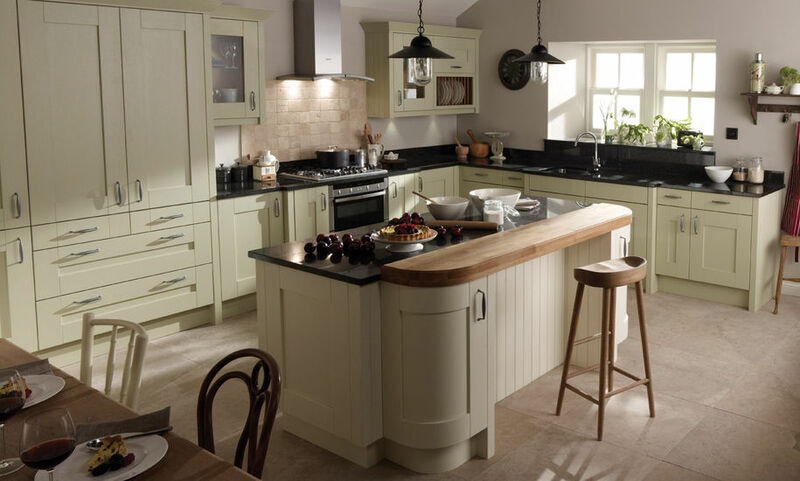 If Quality Kitchen Doors Nottingham is remodelling your kitchen, we’ll offer a complete renovation service to ensure the project runs smoothly and comes to a successful completion. However, in the event you have an electrician, plumber, interior designer, etc. you prefer to work with, we’ll work together. After the order is confirmed, how long do you take to begin the kitchen makeover? 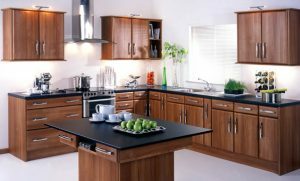 At Quality Kitchen Doors Nottingham, we begin working on your kitchen project right after we’ve reviewed it and have come to an agreement. However, how long the design process takes will depend on your availability and feedback. 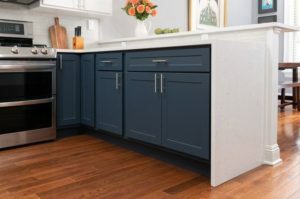 I want to remodel my kitchen, are there tasks I can handle to cut down the cost of the project? Yes. As much as we take into consideration every task that goes into the remodelling process for the purposes of giving you a correct estimation, it’s possible to some of the tasks to you. We’ll even go ahead to advise you on how to handle some of the tasks on your own. DO I have to prepare the kitchen before the remodelling process begins? Yes, usually, we recommend that you clean out your entire cabinets and store everything in a proper place where they’ll be free from damage or dirt.